There is a creation design for growth and maturity. Children can grow physically but not mature which can be the cause of many problems. The same can be true for Christians and churches. The writer to Hebrews admonishes the church for their immaturity and challenges them to “press on to maturity” (Hebrews 5:12-6:1). As Christians “abide in Christ” the Father and Spirit work in them to bring about maturity so they can “bear more fruit” and bring glory to God (John 15:1-8). 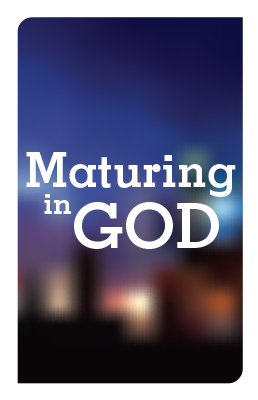 In the study “Maturing in God” we will look at various aspects of How God works to mature us both individually and corporately.